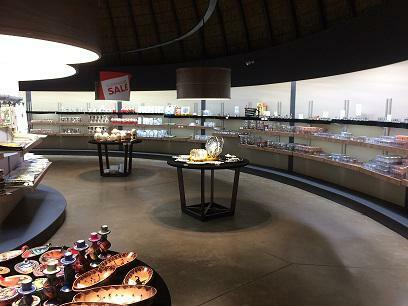 Maropeng - The Maropeng Visitor Centre is an exciting, world-class exhibition, focusing on the development of humans and our ancestors over the past few million years. On arrival, you will see a massive burial mound called the Tumulus, which is your entrance to learning the secrets of our ancestry. Sterkfontein Caves - Within the caves, scientists have discovered many hominid and other animal fossils, dating back more than 4-million years, to the birth of humanity. The most important and most famous of these fossils are "Mrs Ples", a 2.3-million-year-old Australopithecus skull, and "Little Foot", an almost complete Australopithecus skeleton that is more than 3-million years old. These fossils, both found in the Sterkfontein Caves which is also the most well known of all the sites, tell us much about the precursors of modern humans, Homo sapiens. 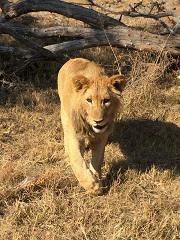 Lion and Safari Park - Visit the world renowned Lion Park. This park is situated very close to Johannesburg and Pretoria and is ideal for a half day tour for visitors with limited time on their hands. Also very closely situated to Lanseria International Airport. Animals indigenous to Africa can be found in this reserve such as large herbivores, and various predators. Lion Park Johannesburg is home to over 80 lions including the rare white lions and many other carnivores such as South African cheetah, Cape wild dog, hyena and spotted hyena, black-backed jackal, and a wide variety of antelope which roam freely in the antelope area. The antelope area, containing blesbok, gnu, impala, gemsbok, and zebra, is in a separate part away from the lions and other carnivores. With this Lion Park Tour open vehicle game drives are provided in their safari vehicles through the four different lion pride camps, including the rare white lion and cheetah camps and the large antelope area. Experience a Giraffe up close and face to face. Stand on a platform to feed this extraodinary animal by hand. 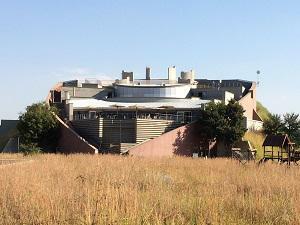 We also have another option to choose from by visiting Sterkfontein caves, Maropeng and Lesedi Cultural Village. This is also a very popular option by many of our clients wanting to experience the cultural elements. Should you be interested in this option, or need more information, please contact us for a quote.